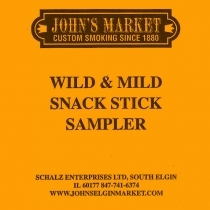 John’s Elgin Market has specialized in custom smoking for over 130 years. 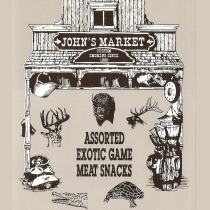 We are known for having the highest quality and most unique jerky and snack sticks you can find. You can choose from such favorites as Beef and Venison, or taste the exotic and try Elk, Buffalo, Kangaroo, Feral Pig, or even Alligator. We proudly ship our jerky and snack sticks across our great country and also provide deer processing to those in the local community. Use the Buy Online button above to browse our products or click the links above to begin your hunt!